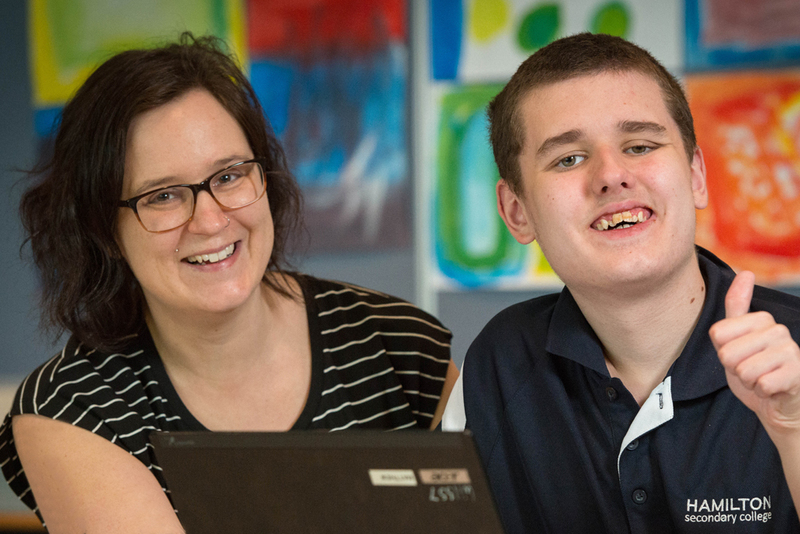 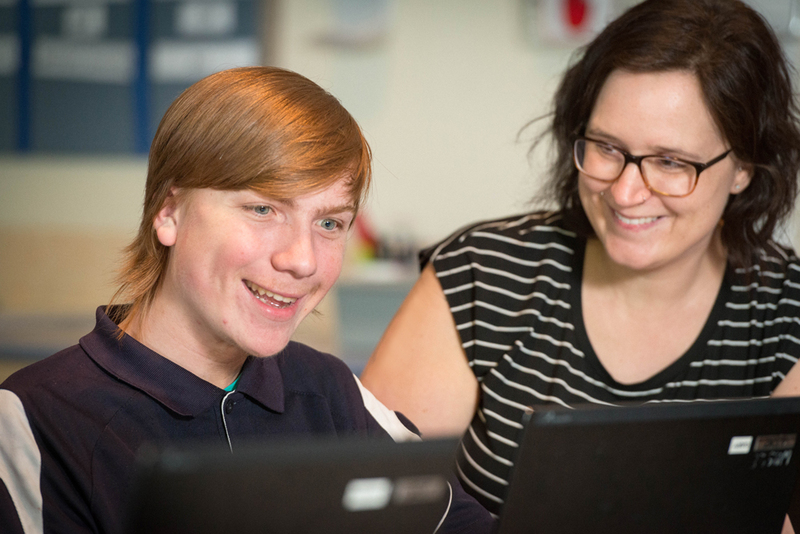 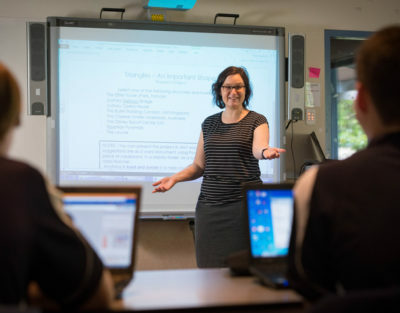 The Hamilton Unit is a warm and welcoming place for secondary school students with moderate to severe intellectual disabilities or severe and multiple disabilities. 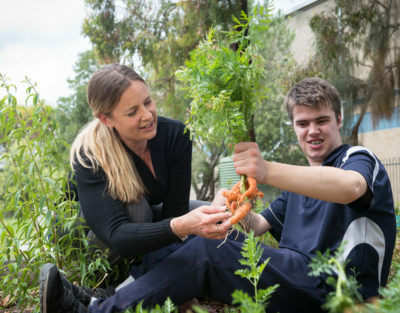 This includes students with complex care needs and sensory impairments. 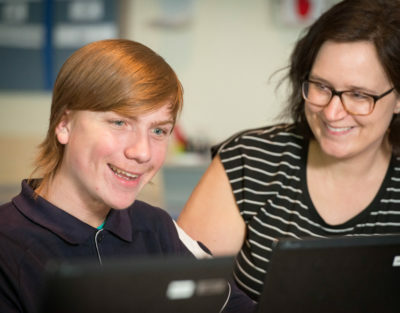 At the Hamilton Unit we are committed to giving your child a rich education with high quality teaching and learning for all. 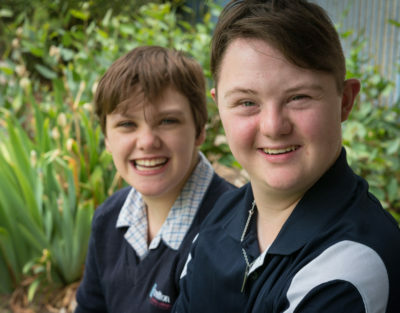 The Hamilton Unit is a purpose built facility, designed to cater for the needs of students with a wide range of physical and intellectual disabilities. 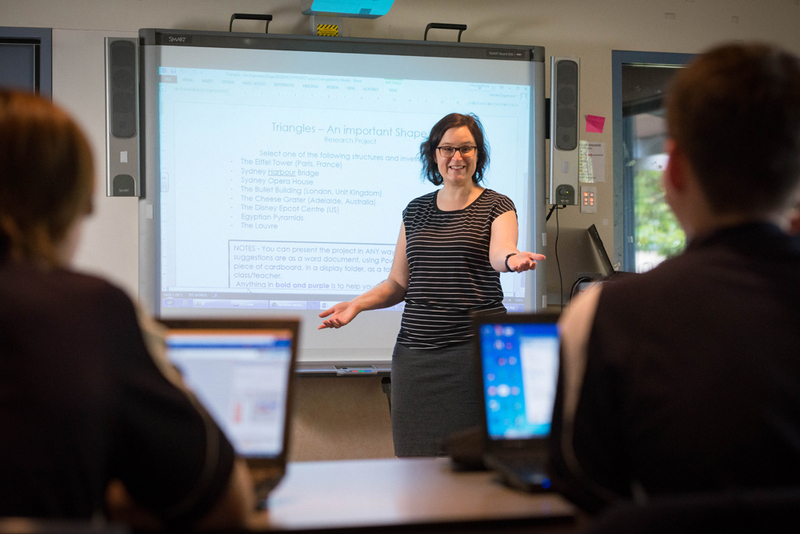 There are four classrooms, all with interactive whiteboards, where students access digital technologies to enhance their learning. 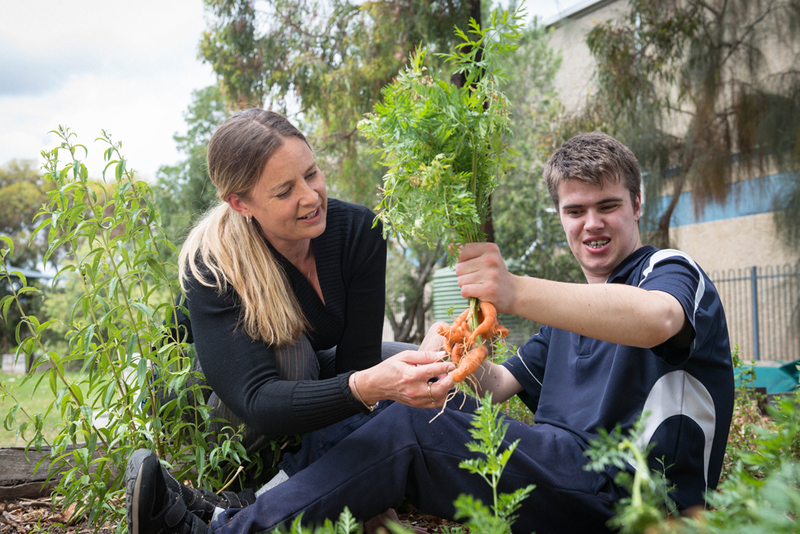 There is a secure recreation area for students to access as an outdoor learning environment and at break times. 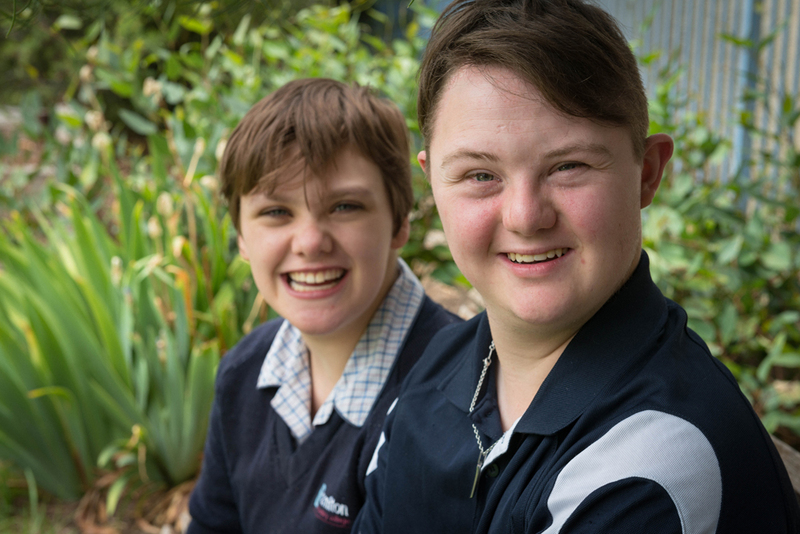 Each year we welcome new students to Hamilton Unit. 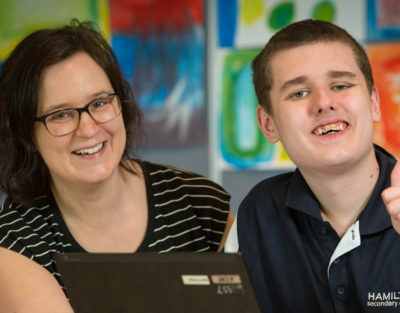 Students with a verified disability are allocated placement in the Unit by a panel of specialist regional staff based on their needs.